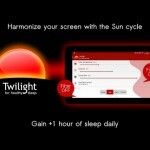 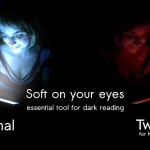 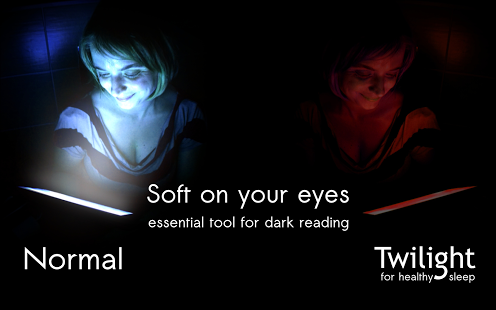 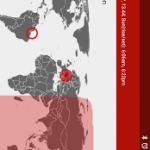 Are you using your smart phone or tablet in the late evening? 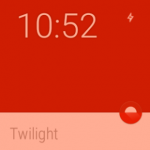 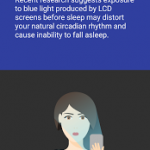 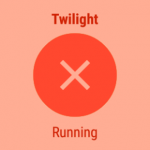 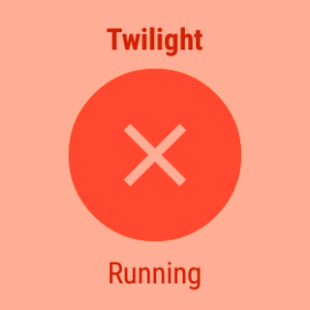 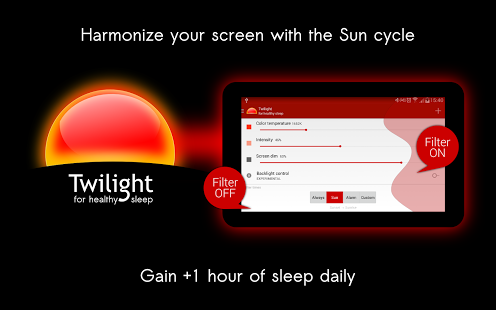 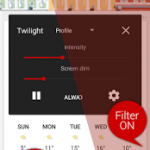 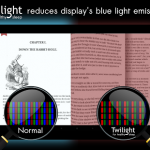 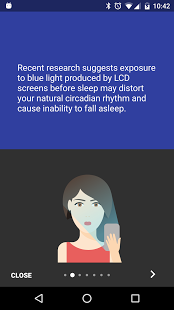 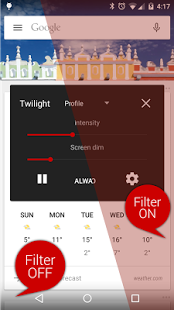 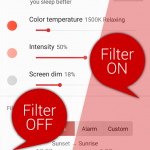 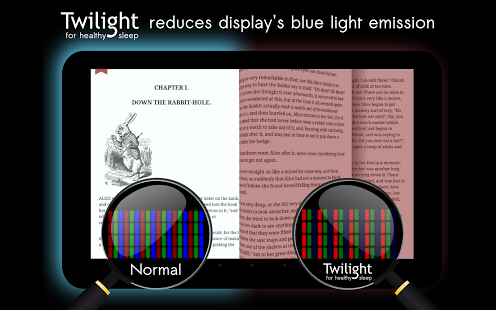 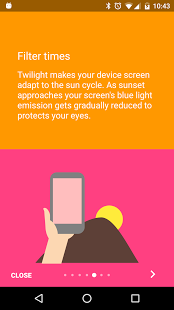 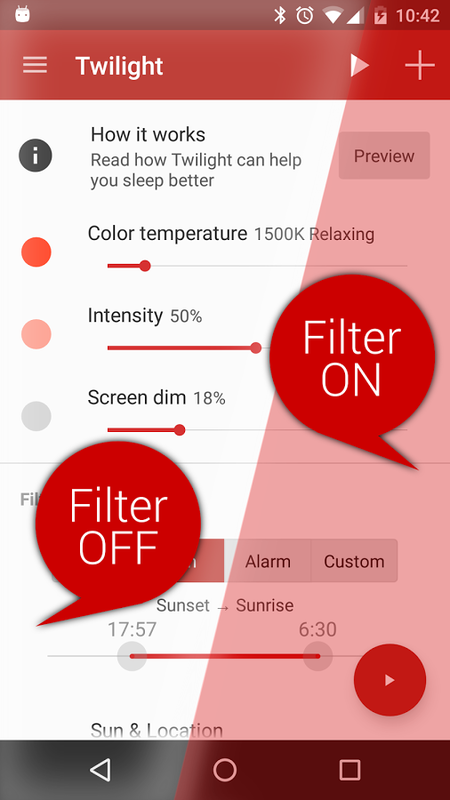 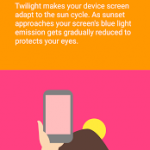 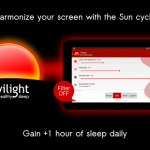 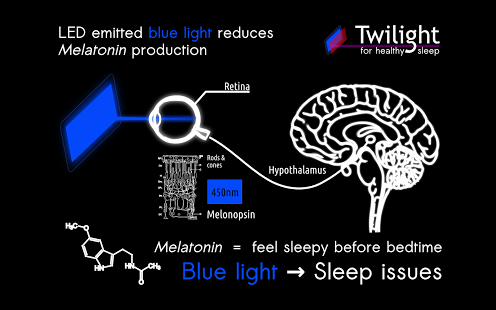 Twilight may be a solution for you!Recent research suggests that exposure to blue light before sleep may distort your natural (circadian) rhythm and cause inability to fall asleep.The cause is the photoreceptor in your eyes, called Melanopsin. 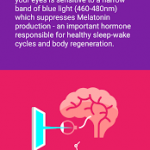 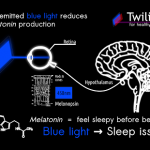 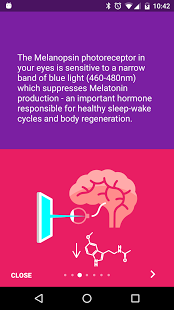 This receptor is sensitive to a narrow band of blue light in the 460-480nm range which may suppress Melatonin production – a hormone responsible for your healthy sleep-wake cycles. 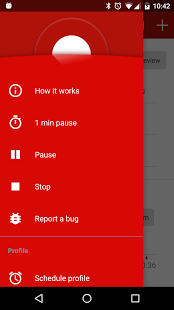 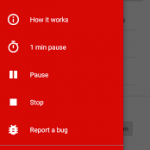 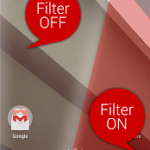 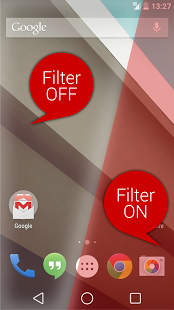 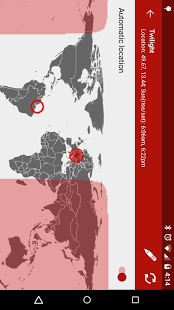 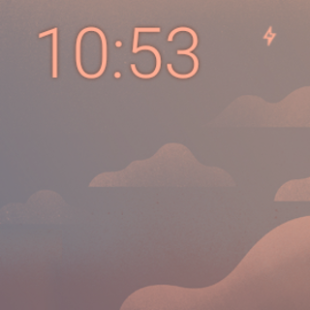 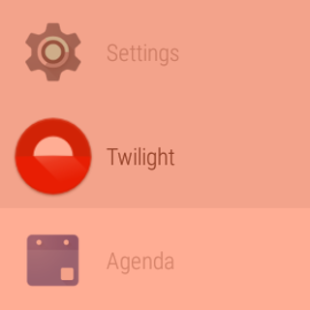 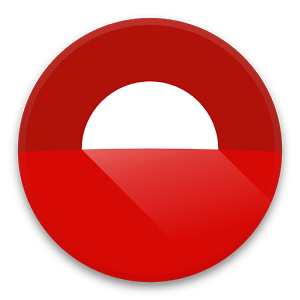 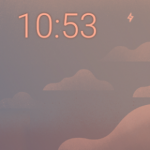 – few fixes, new languages..Always/auto indicator has been switches for hopefully less confusion..